When frustration builds, and finally reaches its the boiling point, it’s nice to be able to express yourself to someone. Although I really don’t enjoy ranting about things, but when it comes to certain aspects of Yahoo!, I just can’t he’p myse’f. So, thanks to recent attempt at using My Yahoo!, it’s time to get some of this off my chest, clear the decks, and give Yahoo! (yet another) chance to clean up its act. 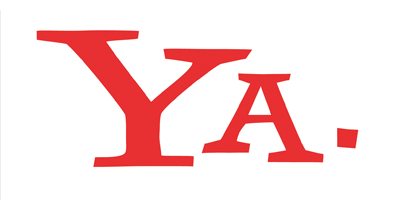 Here are a few complaints I have against various aspects of the Yahoo! enterprise..
First and foremost, Yahoo! sends virtually zero traffic. I know this sounds painfully selfish, but I don’t understand why the top-ranking search engine finds Perishable Press worthy of around 2000 referrals per day, but Yahoo! can’t seem to justify more than a few each week. I mean come on, even good ‘ol MSN/Live manages to send a few hundred uniques per month1. It’s enough to make you scream, really. From blatantly disobeying robots.txt rules to deliberately targeting nonexistent URLs, there is nothing funny about a multinational corporation engaging in such unscrupulous, suspicious behavior. Fortunately,there are strong ways of preventing much of the nonsense. Beyond site-centric gripes, I am also fed up with Yahoo!’s ridiculously complicated and insanely borked My Yahoo! service. Several of my customers use “My Yahoo!” accounts for instant messaging and other chat services. In an effort to accommodate these valued patrons, I find it important to maintain a My-Yahoo! account for myself. Sounds easy enough, right? Wrong. In my comprehensive compendium of online accounts, usernames and passwords, I now have four different entries — over thirty lines of account-related information — just to maintain a single account with My Yahoo. A few years ago, I signed up for my first account. I recall the convoluted registration process as if it were yesterday: jumping through unnecessary hoops, irrelevant configuration screens, confusing vagueness and a headache. Yuck, but at least it was done, right? Wrong again my friend. Around a year or so later, I needed to make some changes to my Yahoo account, but for some reason, my login information was no longer valid. I tried every combination of the five or so different bits of login information provided during registration (e.g., username, password, email address, secret code, user ID, and so on), but without success. Ugh. Unfortunately, the “Forgot Password?” feature required information that I apparently no longer possessed. Regardless of the information I provided, I could not get the system to recognize my account. So, since the first account apparently disappeared, I decided to bite the bullet and start over. This would require a few clients to obtain the new chat information, but I really had no other choice. So, I registered for a new account and went with it, but then again, several months later, the miraculous Yahoo system failed to recognize my account and effectively locked me out. So you see the pattern developing here? Well, I will spare you the full story, but suffice it say that I now have four different My Yahoo accounts, of which only the most recent actually recognizes my credentials and allows access. Okay, great. I have access for my fourth My Yahoo account. It’s not like it does any good. If I would have known how utterly useless the account admin/editing area was for My Yahoo, I would have terminated the whole affair after the first lockout. Now, keep in mind, I am by far an expert on anything Yahoo-related (Thank God! ), but I found it absolutely impossible to actually change any account information whatsoever. Nothing, nada, zippo, zilch. In my case, the main admin screen (presented directly after login) is a complete joke. Poorly organized, hideous to look at, and completely static. There are several “Edit” links scattered around the page, but they all take you a pointless page that is essentially phishing for additional personal information — email address, children’s names, bank-account number, and so forth. Completely useless and baffling at the same time! I also tried the “Add/Edit Profile” link located in the right sidebar, but without success. I figured that that link was like the way to edit my existing profile information, but the link doesn’t work! Arg! I must have clicked on that stupid link a hundred times before finally spitting on the floor and calling it quits. Yahoo! whatever! In closing, I need to complain about one more thing. If you happened to check out the previous screenshot of the Yahoo! search results, you noticed perhaps the most frustrating aspect of the entire affair. In an effort to view any of my Yahoo profiles from a public point of view, I tried searching directly through Yahoo itself. The result? Nothing. No results for any of my four accounts. And the best part? I was logged into my account the entire time! How could I be using a Yahoo account that Yahoo doesn’t recognize? It’s like some stupid zen riddle or something — completely pointless2. 2 No offense intended to any Zen folk out there — simply using the term in the general sense.